Everyone wants to feel good about themselves and we all want that that elusive sense of inner peace and to know that we are living a life that is fulfilling and happy. The original and imaginative ideas in The Five Feel-good Factors are the means for realising this dream. 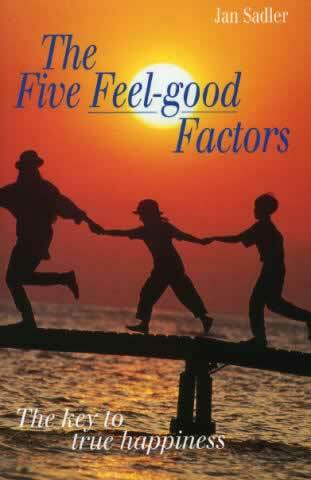 The five feel-good factors are introduced as the key to true happiness. Gentle encouragement is given for the reader to embark on a few simple changes in their lives which will lead to personal growth and a transforming attitude to life, enabling greater changes to take place naturally and easily. The skills and techniques used in the book actually work and have a proven track record of success.